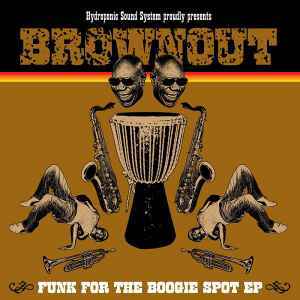 Cover reads as: <b>Hydroponic Sound System <u>proudly</u> presents Brownout</b>. <small>Side A - 45 RPM. Side B - 33 ⅓ RPM. Excellent cover of Manu Dibango's classic break with the 'if you wanna battle me' intro. Solid pressing on the 12. I'm happy.